Social media is taking over! This can be scary, but it shouldn’t be. Done well, social media can be one of the most effective ways to reach and expand your audience. But, how do we do social media well? We have asked ourselves this question and attended many social media sessions at conferences. In our own social media efforts, we not only share our weekly blog, but also curate top daily picks on new research, trending topics and thought-provoking articles in the social sector. (If you like Social TrendSpotter, you will love what we tweet daily.) However, in all our research, we have not found an easy-to-follow, thoughtful resource to point our clients toward – so we decided to share our own #lessonslearned. Too often, people put the cart before the horse with social media. They dive into tools without understanding their goals, their value proposition or their key audiences. We have learned that “you can do it all, but not all at once.” To that end, we suggest mapping social media goals to your overall marketing goals for the organization. We also encourage you to include this analysis in your next marketing plan or strategic or business planning process. 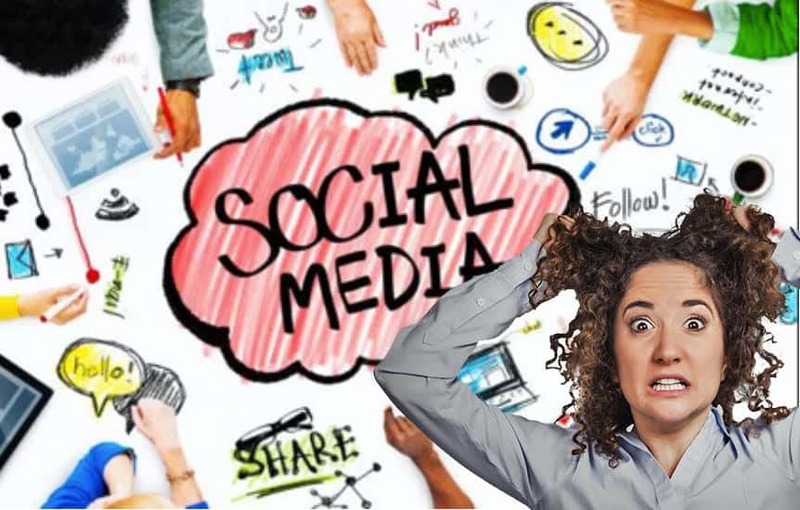 Depending on your answers to step one, you can focus on any or all of the most popular social media tools, including Facebook, Twitter, LinkedIn, Instagram, YouTube or Vimeo, and/or Pinterest. But, this is definitely a case where more isn’t better. Your social media strategy should help you identify which tool connects best with your audience, which messages will resonate and what timing is best for engagement. For example, we love Pinterest and Instagram for personal use, but have focused our time on Twitter, Facebook, LinkedIn and Vimeo because our audience uses them faithfully for professional use. Rather than chase the newest social media platforms, we choose to focus on getting better on the tools we (and our audience) already use. To streamline your efforts and save time, use tools like Hootsuite, which allow you to schedule your social media blasts ahead of time and track all of your social media platforms in one place. Successful social media is a team sport – you want to have a conversation with your audience and the more people involved, the better. We suggest developing social media guidelines (our favorite: TechSoup) and training staff on social media etiquette as a starting point. (BTW: This is a great project for a millennial task force/intern.) It’s also a good idea to give multiple people “administrator” or login access to your social media accounts. This allows different members of your team to post at various times about an array of topics your audience might find interesting. We all want re-tweets, but we also need to remember who we are — social sector organizations that want to be credible but catchy. It’s important to develop a voice that works for your organization. Balancing the seriousness of our causes with cleverness and fun to draw in readers is more art than science, but with practice, you will find the sweet spot. Want to boost your catchiness? Get comfortable using handles (@) and hashtags (#) in your social media posts. Research the ones that are most popular in your issue area and community. For example, when you list a location, use the city’s common hashtag. When you talk about an issue, use the common hashtag for that issue area. This helps individuals outside your circle find you, repost what you wrote, and expand your reach and followers. Don’t forget to think about ways to connect your cause to something fun. For example, every day is almost guaranteed to be a national day for something – today is #NationalGreasyFoodsDay! Decide which national days intrigue your audience and design specific posts around them. And, ALWAYS remember to link it back to your cause! As with any effort, it is important to monitor and evaluate your results. What messages get the most forwards? Are they stories? Facts with impact? Inspirational quotes? Pictures of clients? Research on the latest trends? Are you posting at the right time of day/week? For example, we purposely send our blog on Thursday, because we know that day gives us the highest likelihood of capturing the attention of our readership. We also plot topics and see which ones have the most impact through open rates and forwards. It’s also important to stay on top of the trends to ensure what we do is working. For example, did you know posts that include a photo are 94% more likely to be shared? Once you develop a routine for monitoring and evaluating your work, it is easy to maintain through a simple dashboard. Then, review quarterly and revise your plan based on results and trends. Once you have the basics down and a good number of consistent posts under your belt, you can spread the word. As we like to say, crawl before you walk and run. Update your company’s email signatures to include social links. Be sure to include social links on your website, annual reports and newsletters. And, encourage others to spread the word and follow you by inviting board members and supporters to share prewritten social media messages with their followers. We hope you take advantage of our #lessonslearned. #Payitforward today by adding any of your ideas or tips on how you make the most of social media in your social sector organization.